PLOT A vampire falls for a descendant of monster killer Van Helsing. BOTTOM LINE This animated kiddie fare is typically frenetic, but the monster-comedy shtick is beginning to feel zombified. It’s a lovely thought. Why, then, is sitting through one of these movies almost as pleasant as being burned at the stake? It didn’t have to be that way. 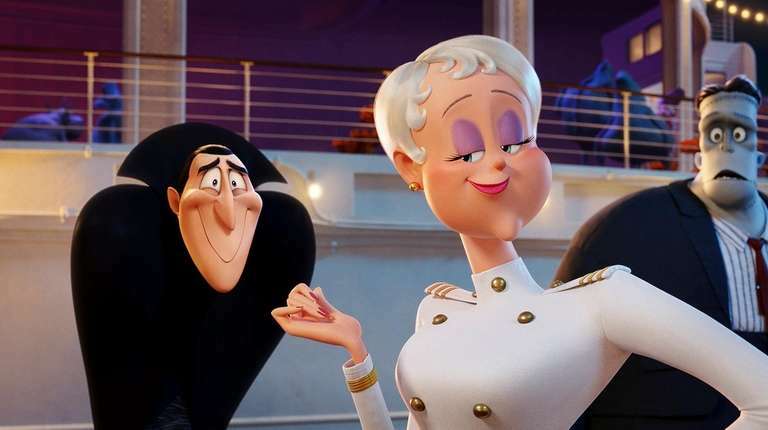 With “Hotel Transylvania 3: Summer Vacation,” the franchise returns to the romantic-comedy formula, placing the widowed Dracula and his family — daughter Mavis (Selena Gomez), son-in-law Johnny (Andy Samberg) and grandkid Dennis (Asher Blinkoff) — on a cruise ship. The romcom is Sandler’s sweet spot, as he’s proven with Drew Barrymore in “The Wedding Singer” and other titles; here he’s paired with the great Kathryn Hahn as Ericka, a chirpy cruise director who catches his eye. Unfortunately for Drac, Ericka is the great-great-granddaughter of famed monster hunter Abraham Van Helsing (Jim Gaffigan). Her first thought is murder — in one ploy, she laces Drac’s guacamole with a lethal dose of garlic — but in the end, love conquers all. What prevents “Hotel Transylvania 3” from ever sparkling is the dull material. 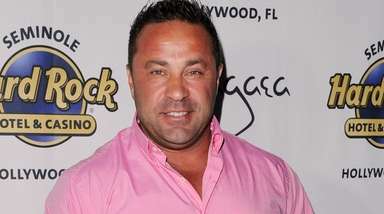 Robert Smigel and even Sandler have bowed out as writers, replaced by three-time director Genndy Tartakovsky and Michael McCullers (“The Boss Baby”). 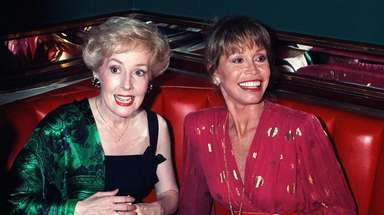 They generate a lot of filler: dance routines with pratfalls, a volleyball game with a living ball, the inevitable passing of gas. Meanwhile, Tartakovsky’s super-cartoonish animation, a style he calls (somewhat inexplicably) “pushed,” is beginning to grate. There’s little rhyme or reason to it: Limbs go rubbery or angular at odd moments; simple faces are framed by hyper-detailed hair; Drac’s mouth alternates between 3-D lips and a simple line. As he does in his live-action films, Sandler surrounds himself with a fun-loving crew, many of whom are his regulars: Kevin James and Fran Drescher play Frankenstein’s monster and his missus; Steve Buscemi and Molly Shannon are Wayne and Wanda Werewolf; David Spade is the invisible yet sardonic Griffin; Keegan-Michael Key plays Murray the mummy. None of them can help much, though. 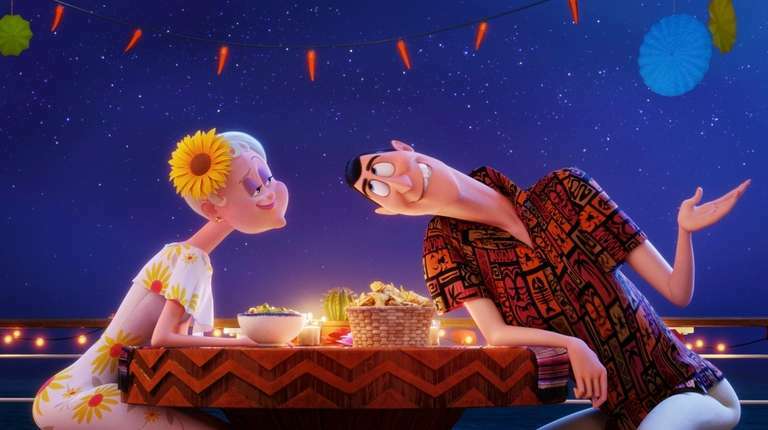 In the end, the noisy humor and classic rock songs drown out whatever worthy messages “Hotel Transylvania 3” might offer.